If you’re looking to move down the street or across the country it can be a stressful experience. There seems to be an endless list of things to do and fears of uncertainties. Buying a home is a big decision. In fact, according to Money Crashers, buying a home is number two out of the “7 Best Financial Decisions Young People Can Make To Get Ahead.” It came just behind the number one best financial decision of getting a college degree. While buying a home is a great financial decision, it is also a huge financial decision as well. It will most likely be one of your largest investments you will make in your life. It is best to go into the purchase of your future home with a full picture of what it is you’re buying. A home inspection will help you discover any hidden issues or problems with a home you are about to purchase. However, it’s very important that a chimney inspection is completed before you sign on the dotted line. 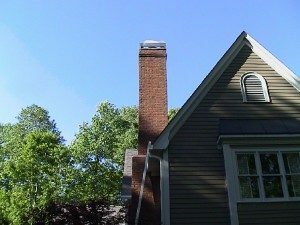 Anglin’s experts are experienced and will come out and perform a real estate chimney inspection for you before you purchase the home of your dreams. We will ensure there is sufficient structural stability of your chimney. We offer a three level approach to our inspections that will uncover hidden problems that may be missed during a general inspection prior to the purchase of your home. If you’re looking to buy a new home with a chimney, contact us today for a full service chimney inspection.